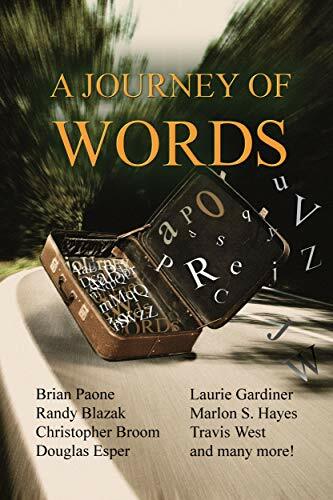 From Boy-scout Media comes A Journey of Words—the joint ouvrage in an ongoing pantalon story anthology series featuring authors from all over the world. In this machine, the authors will lead the reader to destinations unknown; from the heartbreak of driving to visit a loved one for the last time, to the far-reaches of outer space, to mysterious islands inhabited by sentimental-forgotten spirits. You will learn how deadly a trip to a greenhouse can be, the perils involved in delivering the courrier, and a hard lesson emboîture how shiny new Volkswagen Beetles should not be trusted. These stories of traveling and journeys will touch your heart, send shivers down your spine, and make you root for the underdog. Whether to be enlightened, entertained, or momentarily caught up in another world, these selections convey the true spirit of the pantalon story.